The Russian and South Ossetian defense ministers have signed an agreement that allows South Ossetian citizens to serve in the Russian armed forces, and regulates the work of Russian peacekeepers in the republic. 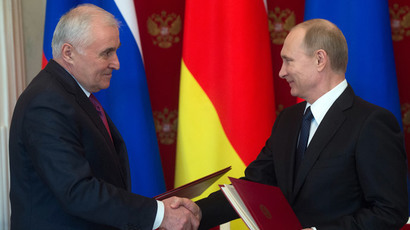 The initial agreement, effectively allowing the two states to have joint armed forces and to work under the doctrine of collective security, was signed by Russian President Vladimir Putin and South Ossetian President Leonid Tibilov in March 2015. After this, the document was sent to the defense ministries of both countries in order to work out the details of its execution. The final draft of the document states that the soldiers and officers of the South Ossetian units that will be included in the Russian military will have to resign from the South Ossetian services, and after this will be accepted as contract soldiers in the Russian military base in South Ossetia. The agreement specifies that the contracts must be signed on a strictly voluntary basis. 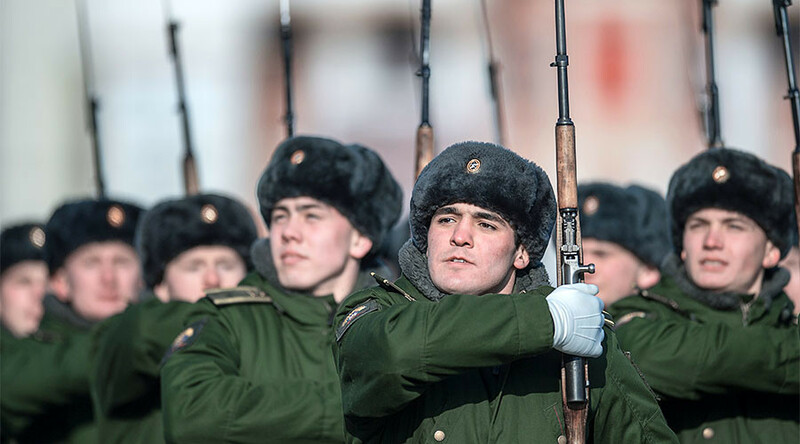 Service at the Russian military base will be conducted in accordance with Russian law. The agreement also states that the full manning of the Russian base with South Ossetian contract soldiers should be completed within six months of the order being issued by the commander-in-chief of the South Ossetian military. Earlier this month, the document was approved by the Russian government, and on Friday, it was signed by Russian Defense Minister Sergey Shoigu and South Ossetian Defense Minister Ibragim Gasseyev. Gasseyev said that the new agreement with Russia will strengthen South Ossetia’s defense capabilities and security, adding that the ability to serve in the Russian military on a contract basis is of “great social-economic importance” for South Ossetians. 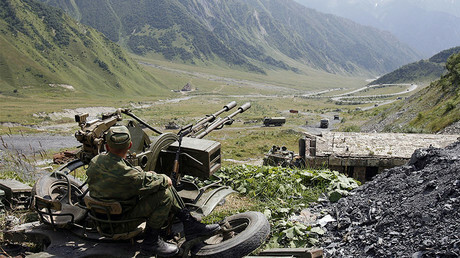 Russia recognized the independence of South Ossetia and the neighboring republic of Abkhazia after a brief war in 2008, which took place after Georgia launched a military attack on South Ossetia in an attempt to seize its territory in violation of ceasefire agreements, and despite the presence of Russian peacekeepers. Russia responded within several hours and deployed ground troops, air force, and paratrooper units to force Georgia into peace. The operation lasted for three days and ended on August 12. Up to 2,000 civilians and 71 Russian peacekeepers lost their lives in the conflict.